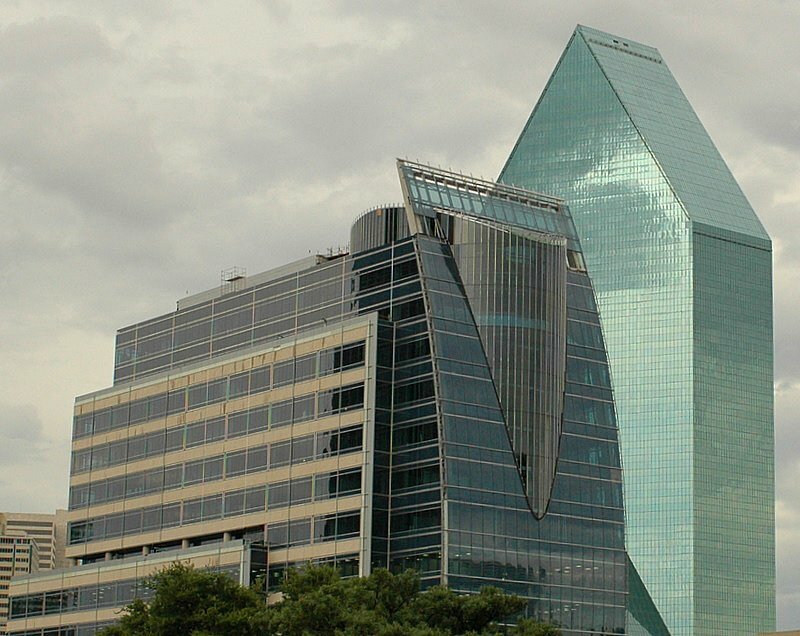 According to the principal of TBG, “It is our mission to integrate Hunt’s Headquarters into the cultural fabric of the City of Dallas and the building’s surrounding Arts District. We installed the district’s signature bald cypress trees and massive live oak transplants to create and instant, mature landscape. The design of the project, from the lighting effects, fountains, and the stone sidewalks, reflects the owners desire for longevity, quality and attention to detail." 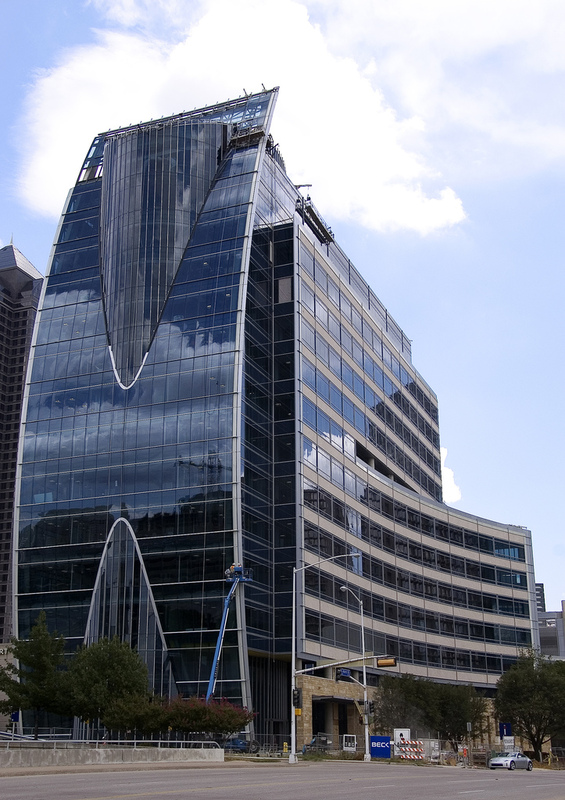 As one of the great leaders in Interior Commercial Construction, Marek started a journey with Austin Commercial. 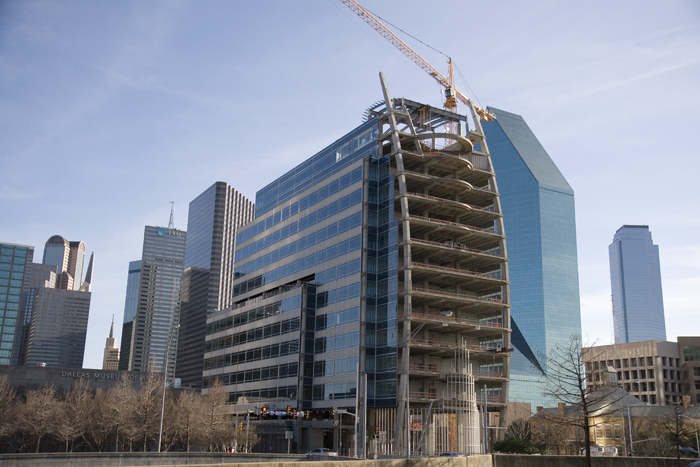 In the year of 2006 The Hunt Oil Headquarters was under way for construction. For many this was a dream that was now coming true. 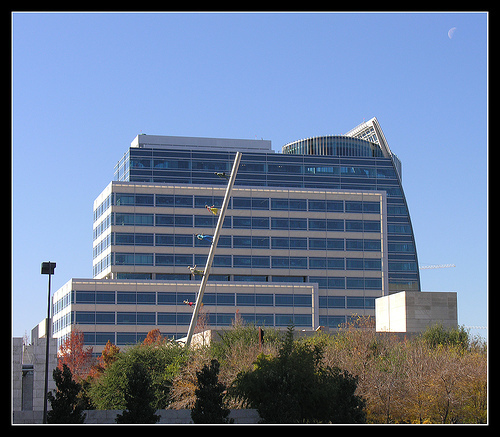 Marek Brothers Systems, Inc. began work on the massive structural steel with the Hunt Oil Headquarters project. Marek Brothers Systems, Inc was responsible for the breathtaking interior and exterior work, which included the wall framing, doors, drywall, grid ceilings, remodeling, radius walls and ceilings (fur downs) with some minor plastering by the garage and sidewalk. The unique structure of the radius ceiling on the fifteenth floor, the Marek Brothers Systems, Inc employees liked to call the cowboy hat in the sky. The building also has high-end wood ceilings, framing work at the entrance, an open ceiling on the north side of the first level, and an impressive lobby. 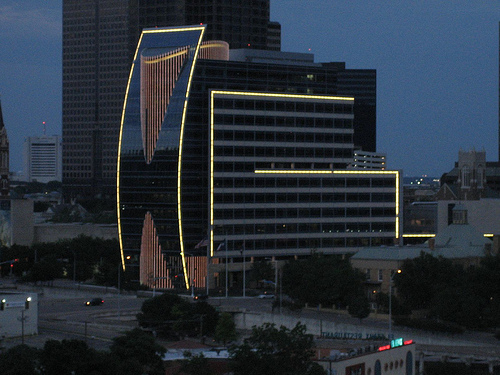 Hunt Consolidated’s $120 million, 15-story corporate headquarters integrates unique features into its exterior landscape, complementing the topography and environment of the nearby Dallas Arts District in downtown. The Hunt project was designed to act as a portal into the city while maintaining a seamless transition between the building’s interior and exterior. A choreographed elliptical fountain and infinity edge reflecting pool that wraps around the front of the building before leading to the lobby was designed to further reinforce the blend of the architecture and landscape. 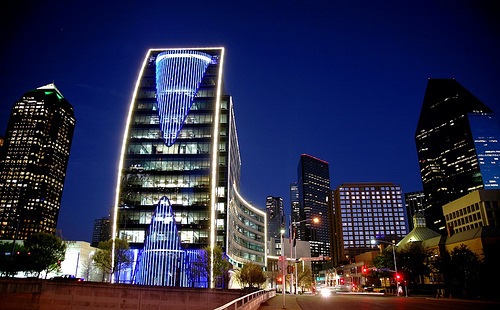 Multicolor LED lighting, controlled by a central management system, corresponds with the exterior building lighting.